IMPORTANT NOTICE: New Dockers’ strike confirmed in Spain. New Dockers’ strike confirmed in Spain. We regret to inform, once again, that the announcement of dockers’ strike in Spain has been confirmed for the following days: 7th, 9th, 14th and 15th (48 hours), 19th, 21th and 23th of june. The strikes will be performed from 8:00 am to 8:00 am of the next day during alternative hours (that means: from 9:00 to 10:00; from 11:00 to 12:00; from 13:00 to 14:00; from 15:00 to 16:00; from 17:00 to 18:00; from 19:00 to 20:00; from 21:00 to 22:00; from 23:00 to 00:00; from 01:00 to 02:00; from 03:00 to 04:00; from 05:00 to 06:00 and from 07:00 to 08:00). Please bear in mind that this strike may cause delays in departures, congestion in ports or even the cancellation of stops from shipping lines, therefore, Smart Logistics Group may not be responsible for any inconvenience which may arise. As always and from Smart Logistics Group, we’ll keep you informed about latest news on this matter. For further details please contact us now. 9th, 19th, 21th and 23th of June at odd hours. From 14th to 16th of June (48 hours) non-stop. 19th, 21h, 23h, 26th, 27th, 29th, and 30th of June at odd hours. 3th, 4th, 6th and 7th of July at odd hours. 23h, 26th, 27th of June at odd hours CANCELLED. 29th and 30 th of June and 3th, 4th, 6th and 7th of July at odd hours ACTIVE. The Smart team will keep you updated about this matter. For further details please contact us now. For this shipment we had to use a SUPER LOW BOY for the inland transportation from the shippers factory to the port of loading (POL). Thanks to this equipment we were able to avoid manipulation of bridges and by doing this the client saved a lot in the expenses for this operation. We managed to pass the cargo through the bridges with only a few centimeters of space left, which proved that we are prepared to assumed this kind of projects. The cargo was loaded successfully in the vessel and it was received in perfect conditions at destination. Many logistics companies told our client this operation was not possible, but we managed to get the job done, at a lower cost than the alternatives presented by other Spanish freight forwarders. At the end, we ended up with a very happy customer and another successful shipment by the Smart Logistics Group team. Have you ever wondered how the products you use daily have been delivered to you? Very much of the global supply chain is made through maritime transport and that involves some of the largest vessels in the world. 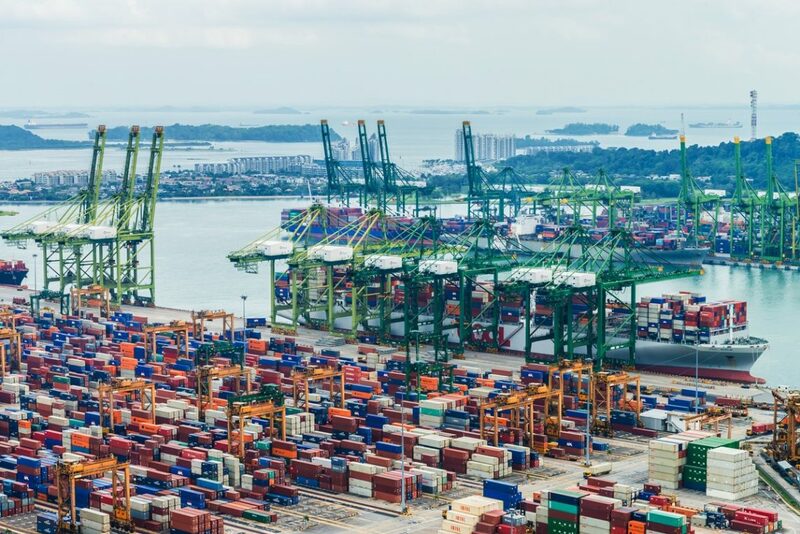 From cars, trucks or statues to clothing, seeds, or even the screen you are watching, many everyday products are transported in containers which are loaded on to vessels, crossing oceans and stopping at several maritime ports before they reach its final destination. 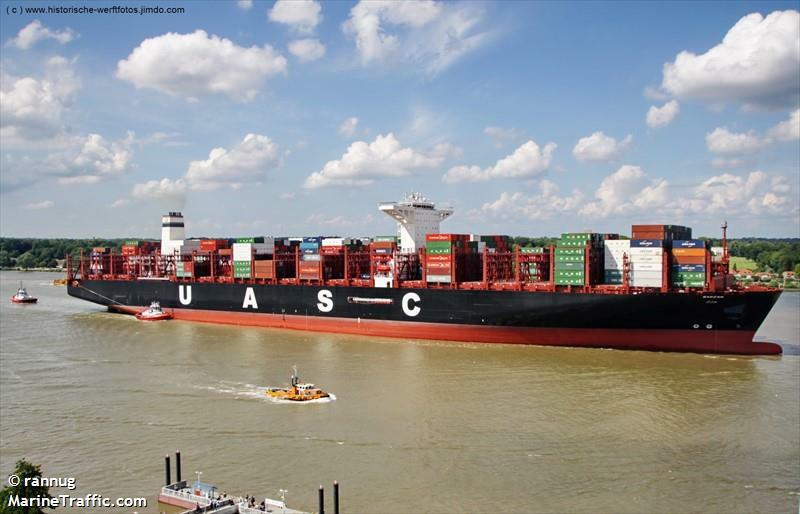 The following are the largest Container Ships in the World, listed by its capacity of loading based on the “twenty-foot equivalent unit” or TEU in reference to a 20-foot-long intermodal container. 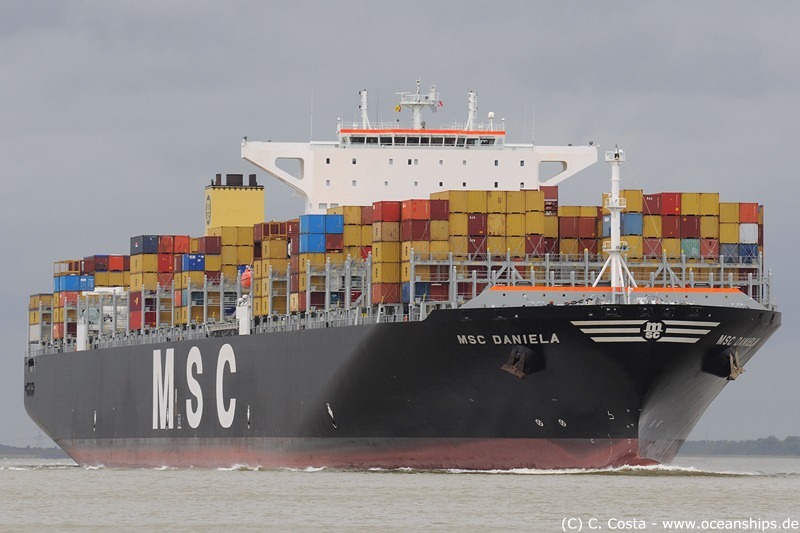 The number ten of the listing is for the MSC Daniela along with her 8 sisters ordered by Samsung and 4 other cousins from Daewoo. This type of vessel has a capacity of 14000 containers (TEU) with a length of 366 meters can reach a maximum speed of 25.2 knots. MSC Beatrice, MSC Danit, MSC Kalina, MSC Irene or MSC Paloma are some of her sisters and cousins, but MSC Camille has to be the rebel one, as it was involved in a cargo scandal in 2010, in which case was found 1.5 tons of “illegal-imported goods from China to Teesport”. Then in the same year, collided with the Torn Marina, a tanker vessel used to transport liquids such as oil in tanks, fortunately the vessel was empty at the time of the collision. APL Temasek and MOL Quest occupy the ninth, the ships are part of the same type of vessels built by Hynudai Heavy Industries for the transport companies American President Lines and Mitsui O.S.K. Lines (APL – MOL). 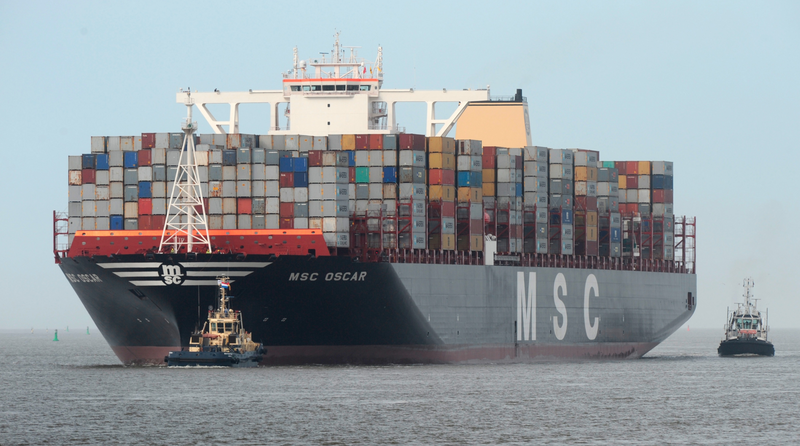 These vessels can reach up to 14000 TEU of capacity and are 368 meters long. Jupiter, Mars, Mercury, Saturn, Venus and Neptune, yes, we are talking about vessels. These are the names of the vessels part of the Star Class type built for the China Shipping Container Lines. 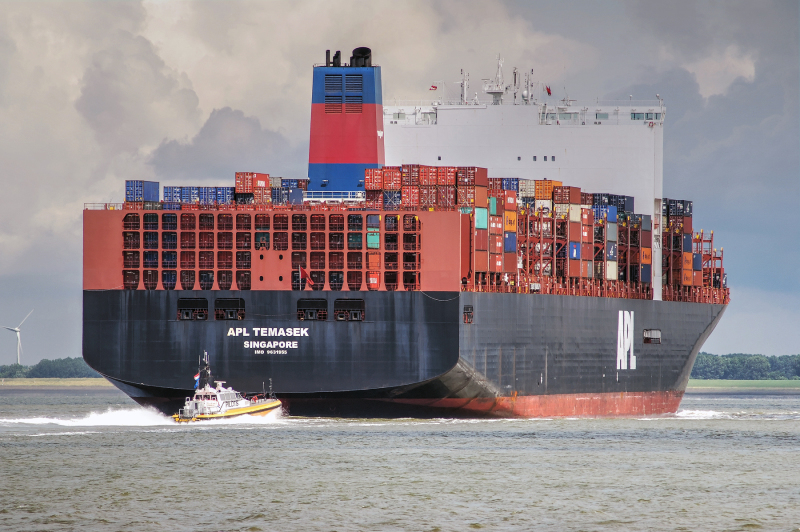 This type of vessel can carry a maximum of 14074 containers (TEU) to a 25 knots of speed, making it the number eight of the listing. 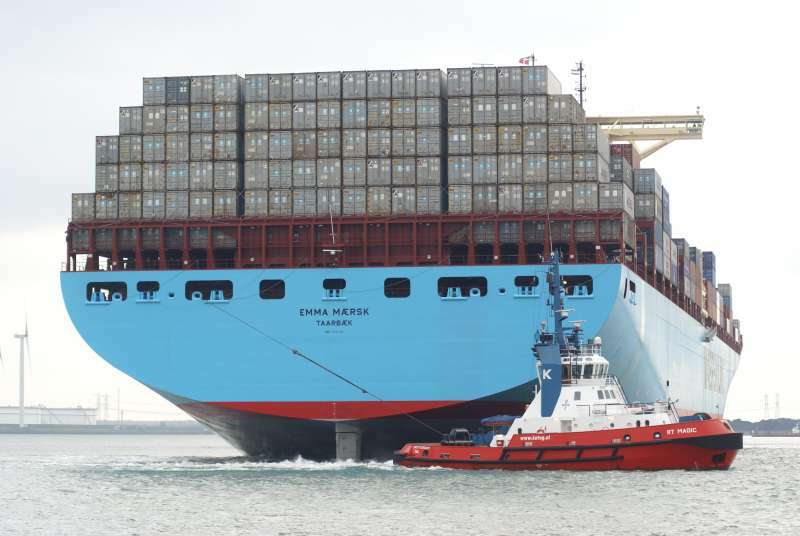 The ranking of container ships wouldn’t be possible without mentioning the largest cargo transport company Maersk. The E series are eight container ships built from 2006 to 2008 by the danish business conglomerate A.P. Moller – Maersk Group. Emma, Estelle, Eleonora, Evelyn, Ebba, Elly, Edith and Eugene are the names of the ships spread all over the world, each with a capacity of 15500 TEU. 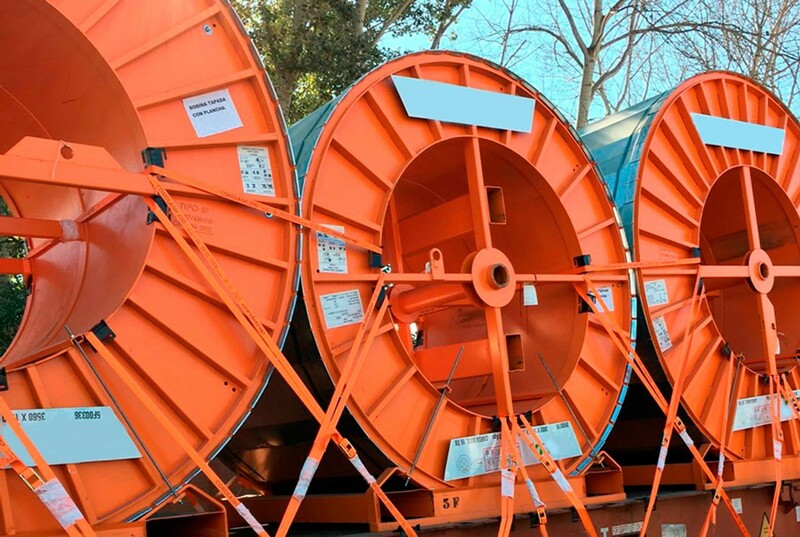 This type of vessel is one of the longest with an overall length of 397.7 meters. 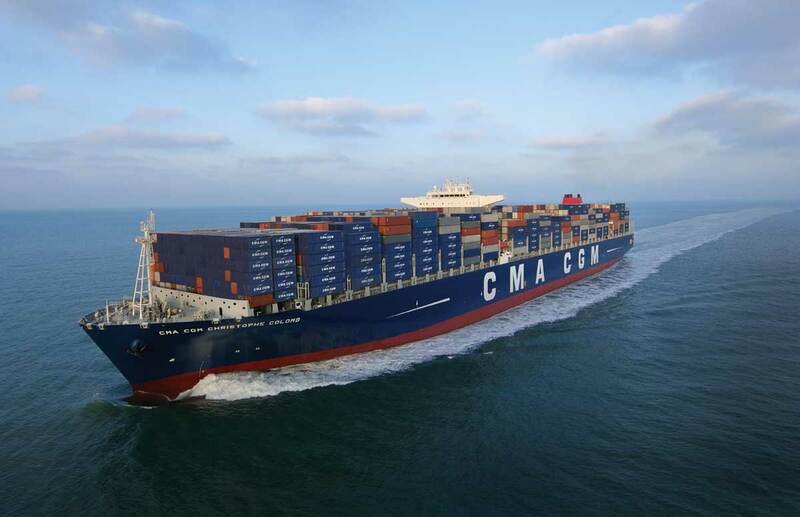 The french fleet of CMA CGM, called the Explorer Class as they named their containerships with explorers names, such as CMA CGM Chritophe Colomb or CMA CGM Alexander von Humbolt. This vessels carry from 16020 containers (TEU) up to 18000 containers (TEU), being CMA CGM Jules Verne the smallest and CMA CGM Georg Forster the largest. 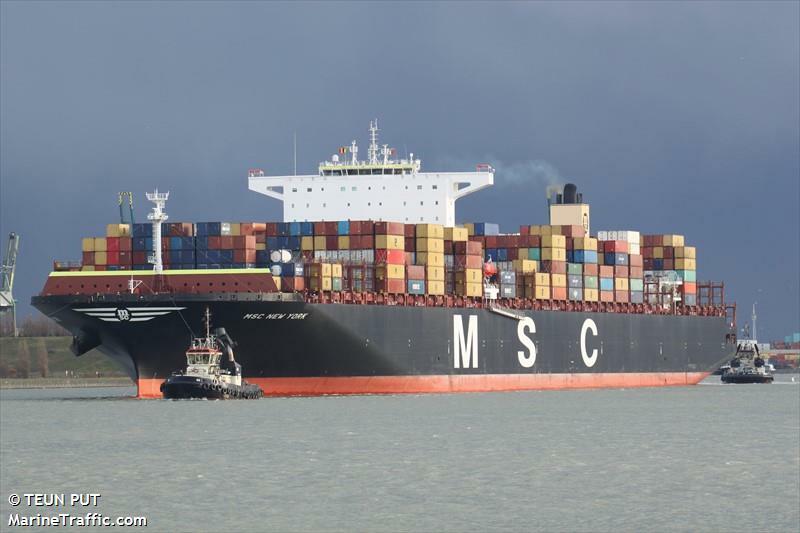 The number 5 of the listing goes again to the Mediterranean Shipping Company (MSC) with its vessel MSC New York. This vessel can reach up to 18270 TEU of capacity with an overall length of 399 meters is one of the largest in the world. Once again Maersk is one of the leaders in this listing. The Triple E Series fleet are very large container ships with more than 18000 TEU capacity. 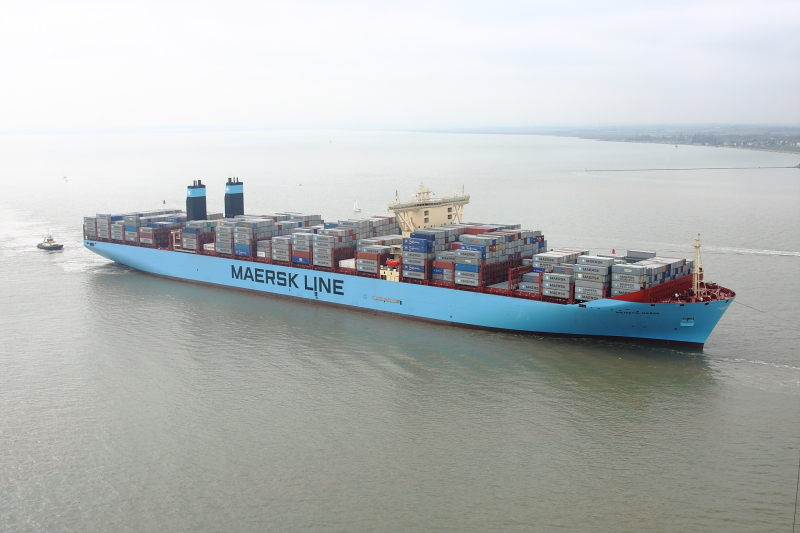 They named its fleet of vessels with names starting with the letter m. Majestic Maersk or Magieby Maersk are some of the vessels that are part of this fleet. These are the longest of the list with 400 meters long, that is even longer than the Eiffel Tower in Paris. The number three of the list is the vessel MV Barzan built for the United Arab Shipping Company (UASC) by Hyundai Heavy Industries. They built a total of six vessels of this type. 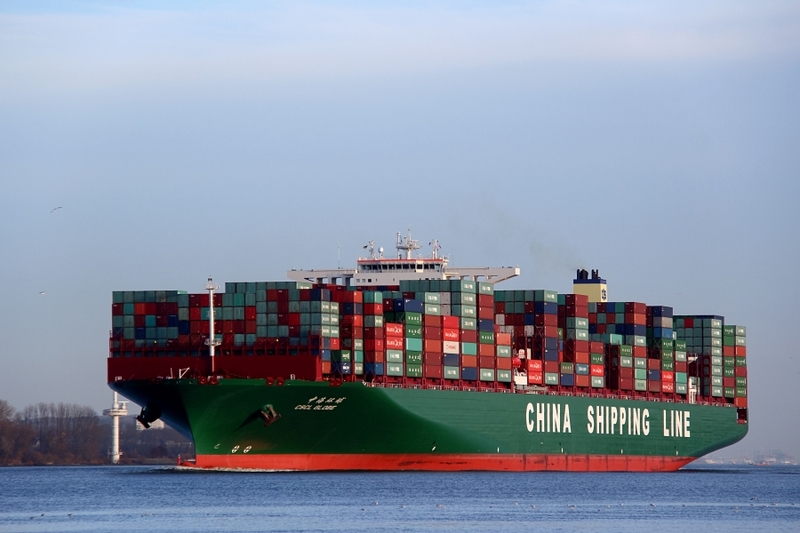 It is common to see them in ports of China, Singapore, Netherlands or Germany carrying up to 18800 containers (TEU). The second largest capacity container ships are the CSLC Globe fleet. This type of vessels have the incredible capacity of 19100 containers (TEU) and can also reach 22 knots of speed, is not the fastest but its capacity makes it the second largest. The engine of this vessels are as big as a 6-story building and the ship lenght is the equivalent of 8 Olympic pools This vessels require 31 people as crew to operate, that is more than expected in this type of vessels, which usually are operated by a crew of around 10-12 people. Finally the ship that lead this top ten of the largest capacity container ships is the MSC Oscar, also from the Mediterranean Shipping Company, this vessel and its sisters MSC Oliver, MSC Zoe and MSC Maya reach up to 19224 TEU of capacity, that is only 124 containers over its second rival CSLC Globe. Even though is not the longest, it has a length of 395 meters but is fast, it reach a maximum speed of 25 knots. 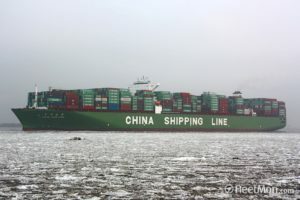 Usually covers the route from Busan, South Korea to Bremerhaven, Germany, stoping at ports such as Shanghai in China, Tanjung Pelepas in Malaysia or Algeciras in Spain. CERTIFICATION: “Good Distribution Practices” for Pharmaceutical Products. The supply chain in the pharmaceutic industry requires rigorous monitoring under strictly controlled conditions for the delivery and distribution ensuring the correct handling of this kind of products. These controls are measured under quality rules and standards which certificate the good distribution practices guaranteeing the commitment of organizations and companies offering transport and distribution services. That is why it is important companies within the logistics, transport or cargo sector to be endorsed by these kind of certifications proving the right training, risk assessments or security systems to carry out distribution services according to current norms and regulations. 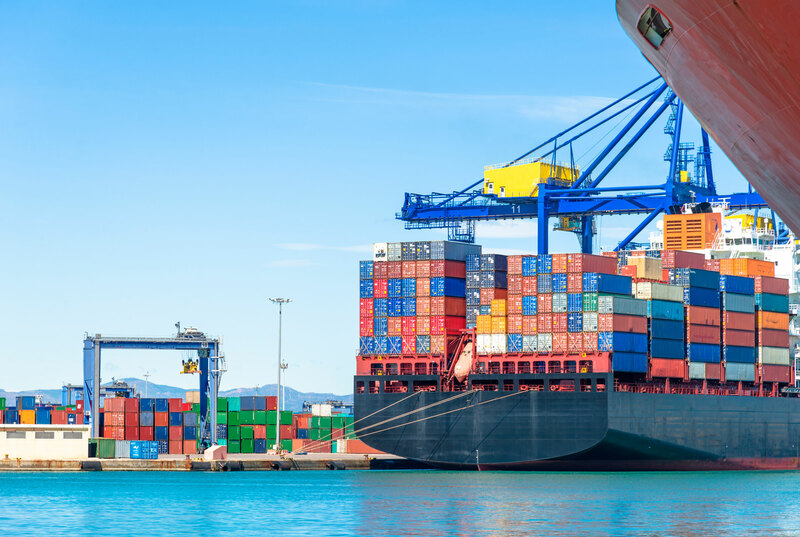 The expertise and commitment of companies such as the Smart Logistics Group has allowed them to receive the GDP (Good Distribution Practices) certification that guarantee the correct handle and distribution of pharmaceutical products for the international maritime transit. 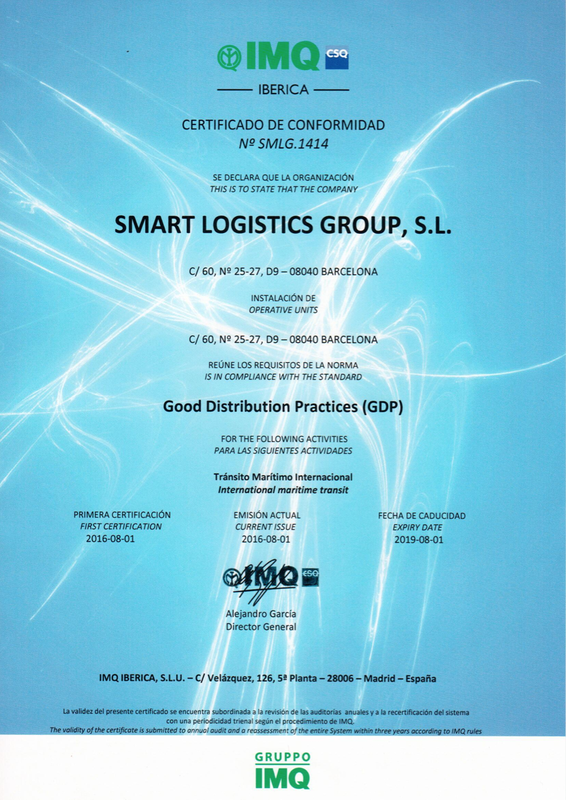 The Smart Logistics Group once again demonstrates that is more than prepared to transport any kind of products, including pharmaceutical with the highest international quality and security standards. This gives Smart a privileged position compared to the competition making them stand as a leader on the logistics and cargo sector for its professionalism and preparation. In order to accomplish the SOLAS Container Weight Verification Requirement (Safety of Life at Sea Convention), we would like to inform our clients that from the 1st of July 2016 it will be mandatory the verification of the gross mass of loaded containers before they are shipped. The SOLAS requirement for weighing containers is an international regulation thus any container with no Verified Gross Mass (VGM) information will not be loaded. 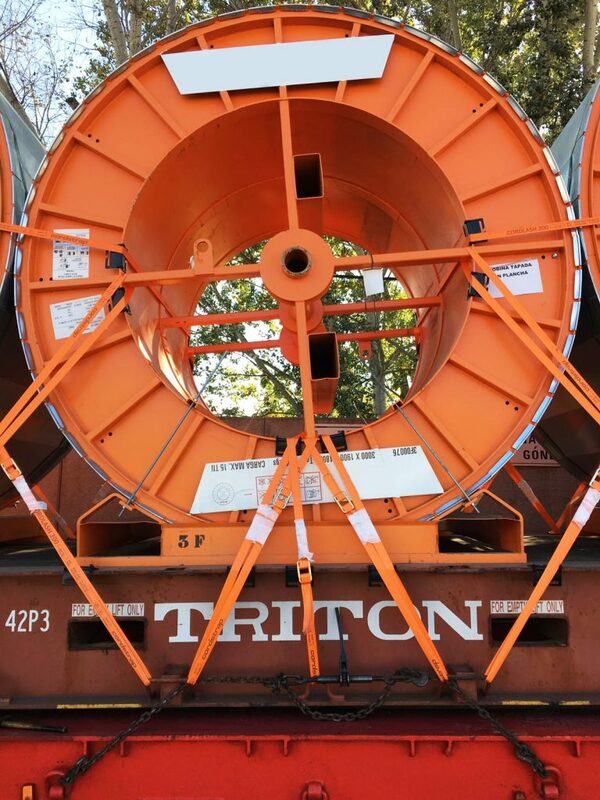 The shipper is responsible for the proper weight verification of every loaded container. This VGM information then has to be provided to the shipping line with enough time to allow the right procedures for the ship loading plan. *Shipper means a legal entity or person named on the Bill of Lading or Sea Waybill or equivalent multimodal transport document (e.g. “through” bill of lading, Sea waybill) as shipper and/or who (or in whose name or on whose behalf) a contract of carriage has been concluded with a shipping company. 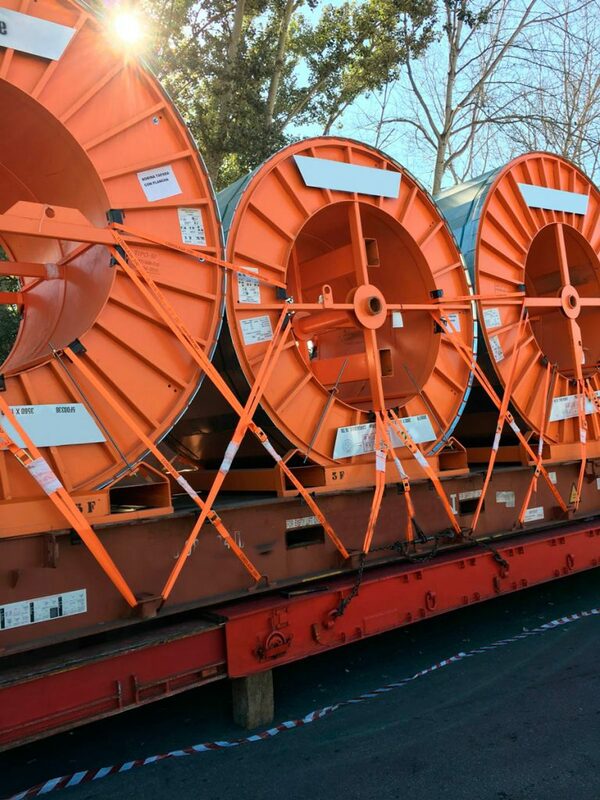 By weight (Maritime terminal or a third party): Once the container is completely loaded, it has to be weighed on its own or along with the truck transporting it, in which case the tare, trailer and fuel weight would be subtracted. By calculation (Shipper): Weighing all packages and cargo items including the mass of pallets, dunnage and other securing material and adding the tare mass of the container. This requires an approved certified method (a calibrated scale) according to the ISO 9001 standard or its equivalent which includes control procedures to meet national certification and calibration requirements. We as Smart Logistics, can provide a weighing service in case shippers do not have access to a proper calibrated scale meeting the requirements of weight verification method 2. This weighing service will take place within maritime terminals or with a port community agent. The fees will vary depending on the port of departure and maritime terminals. In this case a weighing certificate would be sent to the shipper who will need to keep it until the shipment has arrived to its final destination. We can ship your goods anywhere in the world, with no restriction as to size, weight or mode. Our global team will guide your freight through regulatory compliances and customs points, with local oversight at several destinations.